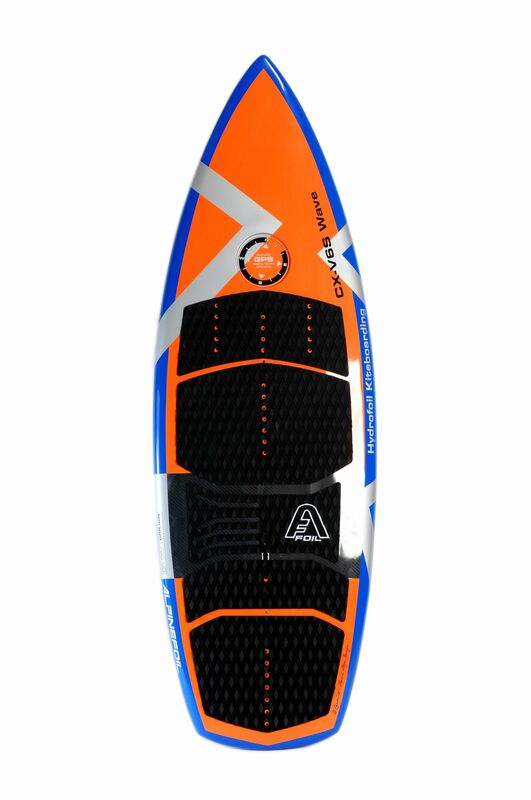 Foilboard CX-V6S - 152 x 50cm - 22 liters. Price 824.16 € exVAT outside EU. Level : beginner to expert. 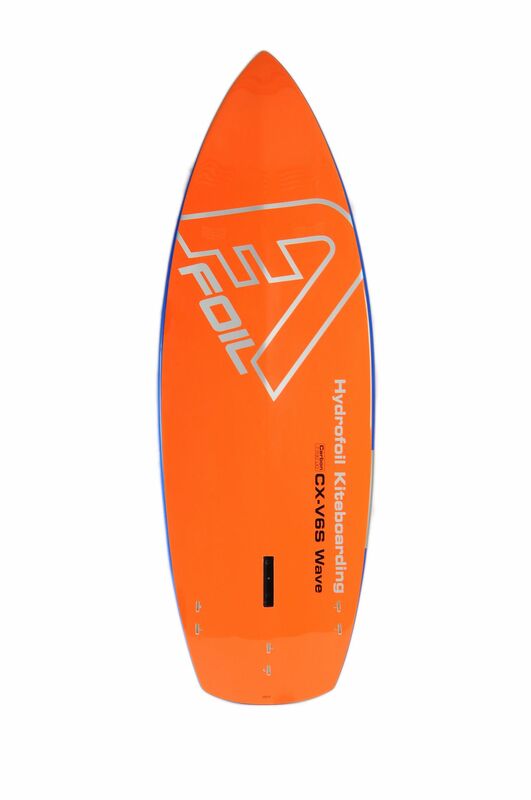 Program : Freeride, Wave, Convertible. 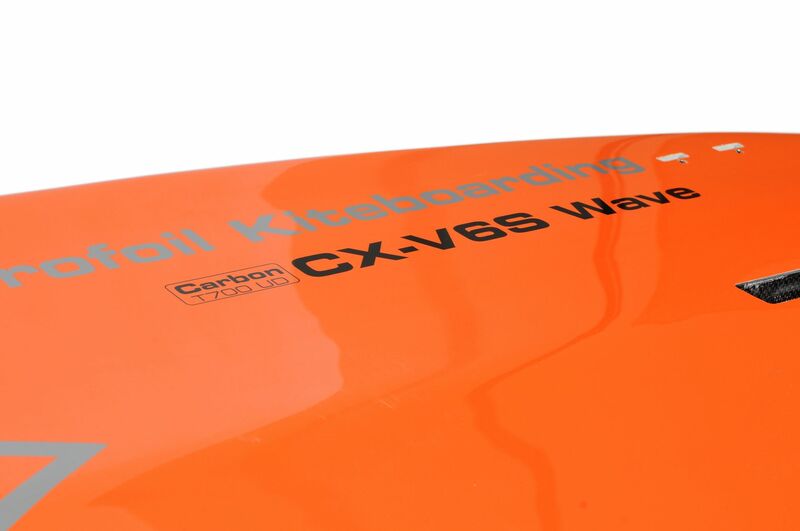 The CX-V6 S is the only surf-convertible foilboard in the Alpinefoil board line. 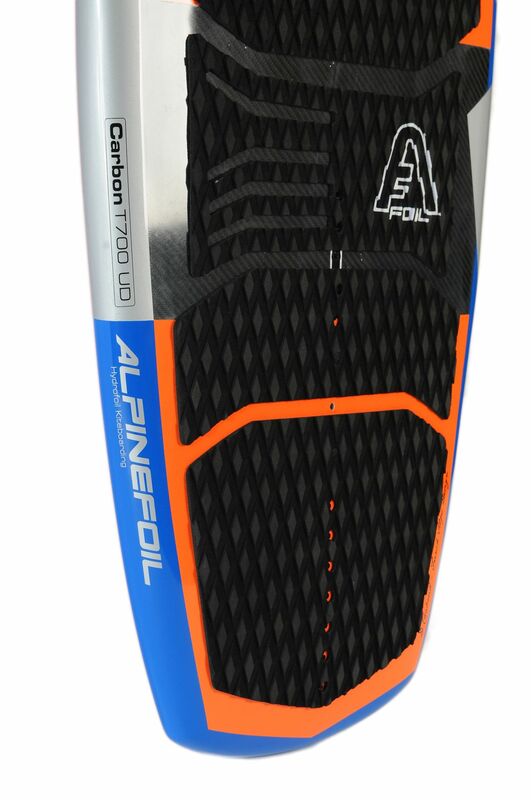 It is designed for riders of all levels, from beginner to expert looking for a board that can be ridden with a foil and also as a standard kitesurf board. Airex epoxy fiberglass sandwich contruction with carbon and bamboo reinforcements. 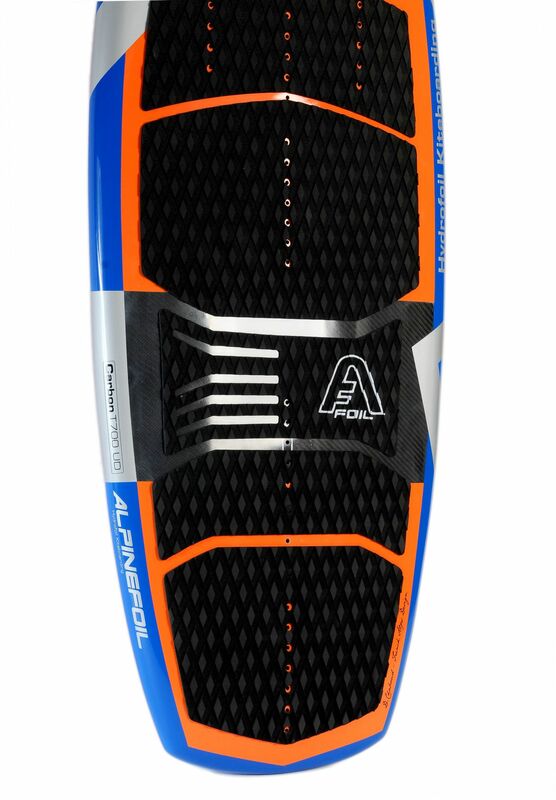 Double concave hull with 3 bamboo FCS boxes in a thruster layout, integrated carbon KF-Box, GPS mount, and 32 footstrap inserts for extreme versatility. 152 x 50cm and 22 liters volume. Delivery with one footstrap. Does NOT include fins. See option pricing below. 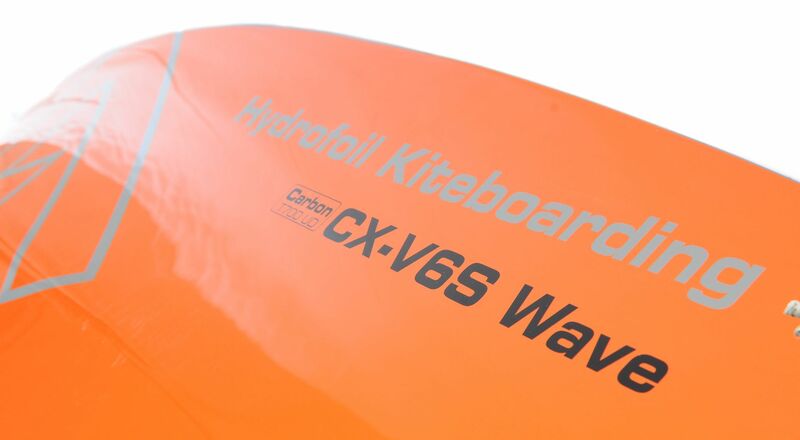 For more information, consult our dedicated CX-V6S Wave Convertible Foilboard page here. 15 votes. Average: 3 / 5.